Kids live in a world with parents who are constantly plugged in, hurrying from work to playdate to homework and stressed out. Funnily enough we don’t realize that as overscheduled as we are – they are too. As adults we come to the mat to destress, let go and find balance – they reap the benefits when we come home calm and clear – why shouldn’t they have the opportunity to model us and have that time too? 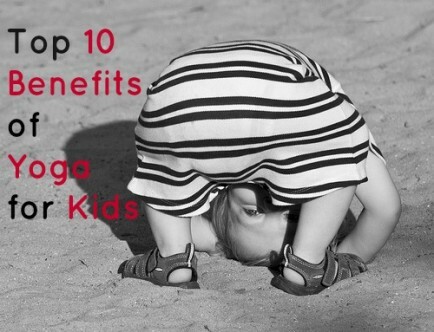 Yoga for kids is the perfect antidote to all that we pile on our kids from school to sports and more. Yoga gives them the tools of a balanced healthy outlook and strong positive connection with themselves. Already at a young age and into their teens, children often feel pressure at school academically and socially. With the added pressure if they are involved in competitive organized sports, it’s easy for kids to become overly self-critical, and lose confidence as they grow and develop. Yoga is the chance to find the opposite – a nourishing space where there is no judgment and no need to be the “winner” or place a perfect pose.